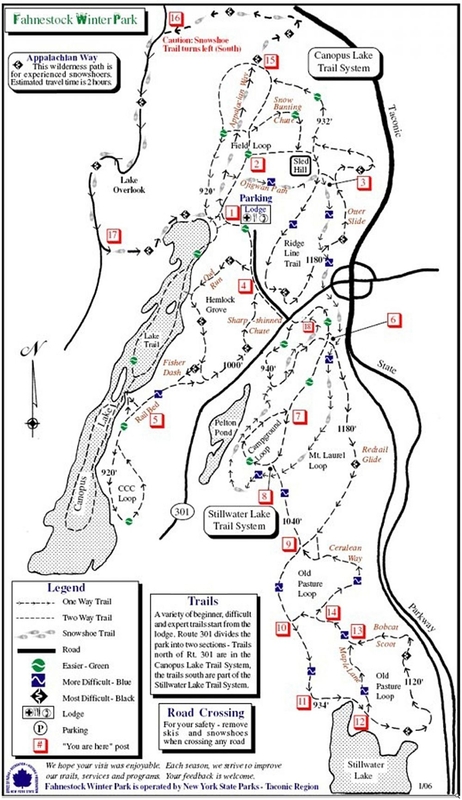 Located east of Cold Spring NY, Fahnestock is a great resource for metro NY area skiers. If you want to bring a family with young children out, it’s close to metro NY and has a lodge, unlike Minnewaska or Mohonk. (Contributor note: with elementary school age kids, you definitely want a lodge.) Easy and rolling trails in a beautiful park on the east side of the Hudson River. Use caution on the Otter Slide downhill.